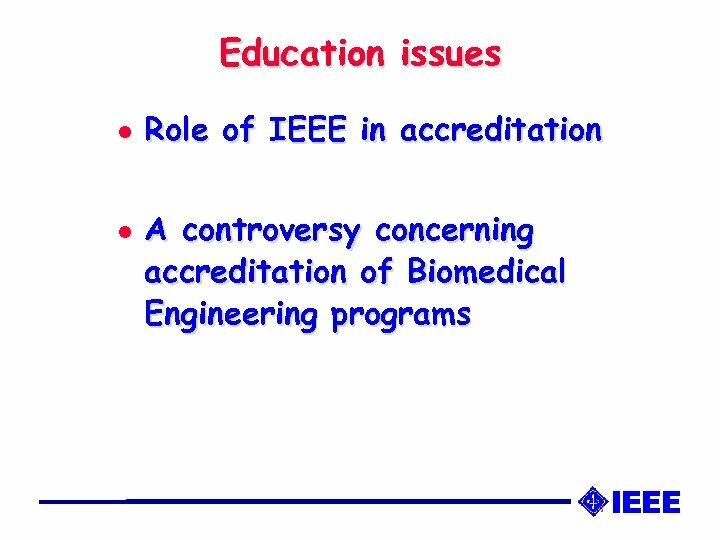 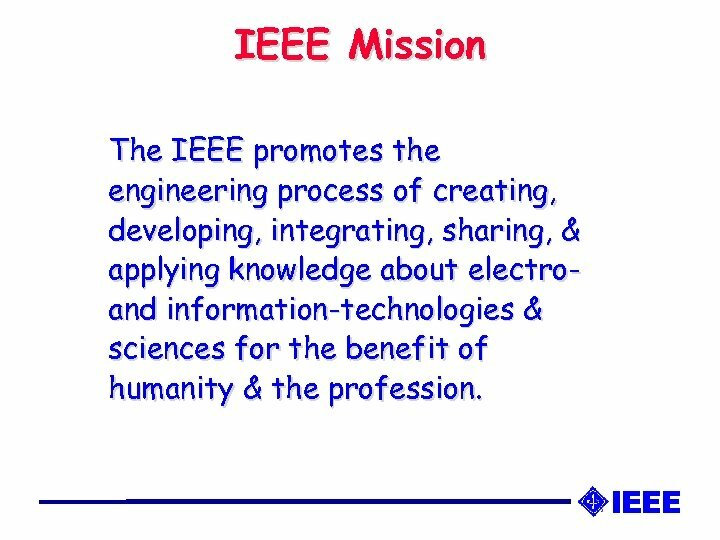 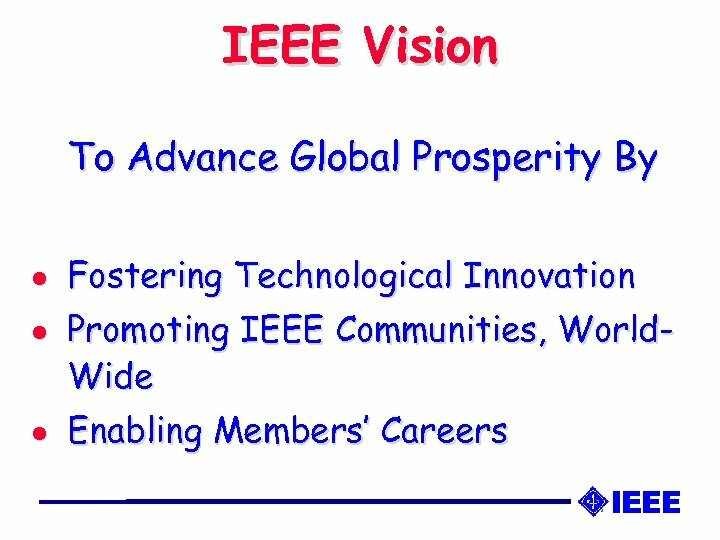 IEEE Mission The IEEE promotes the engineering process of creating, developing, integrating, sharing, & applying knowledge about electroand information-technologies & sciences for the benefit of humanity & the profession. 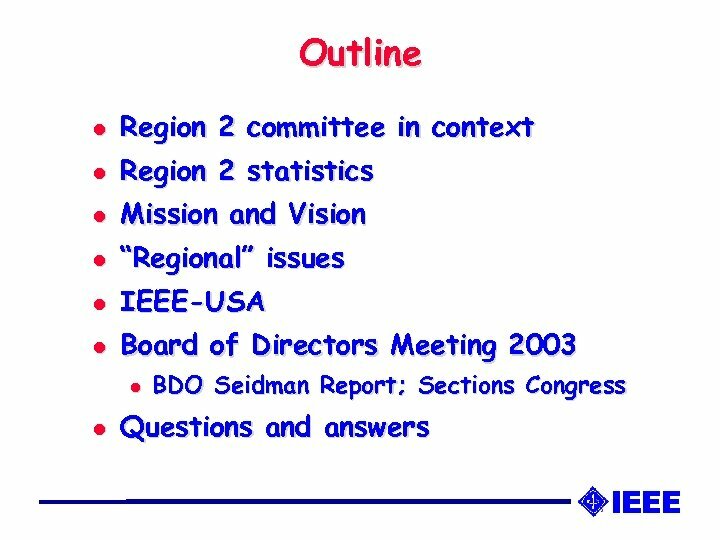 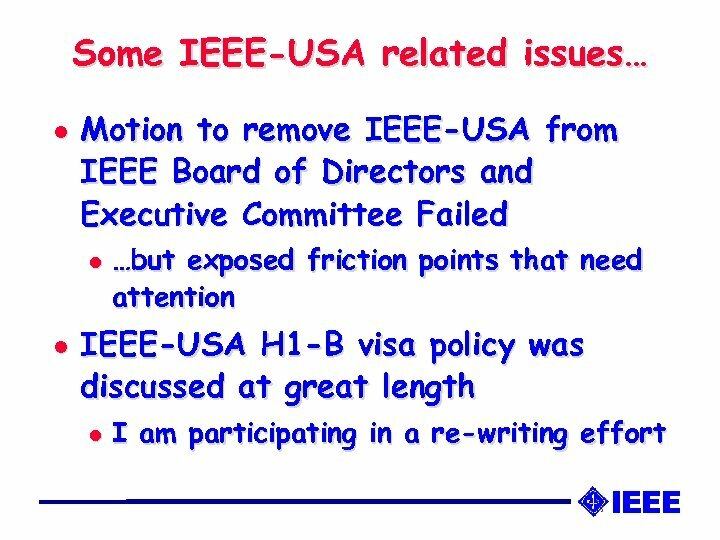 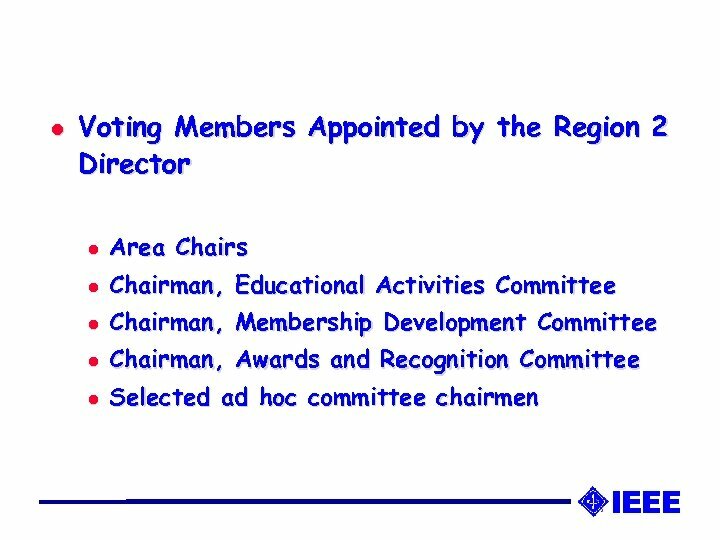 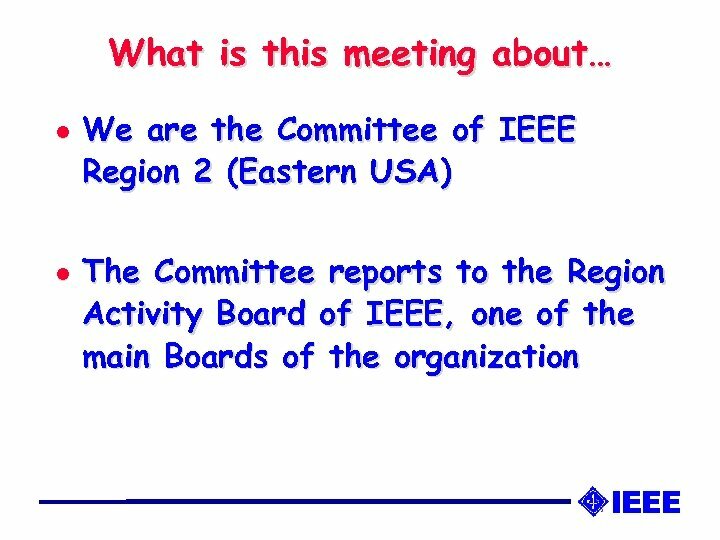 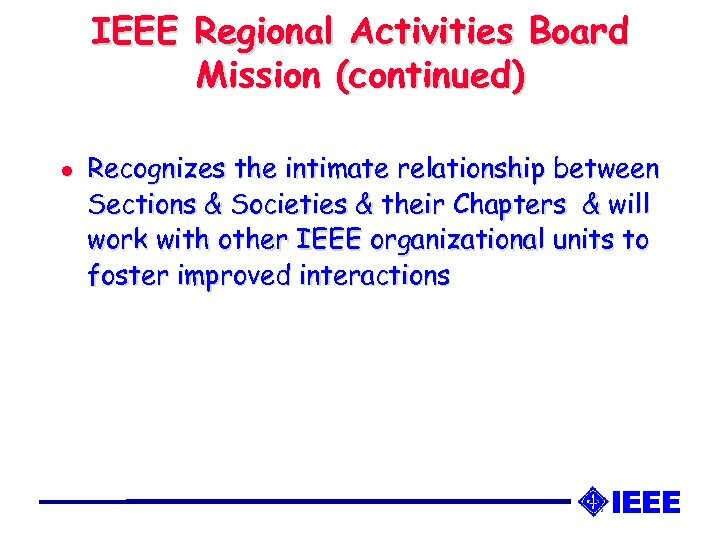 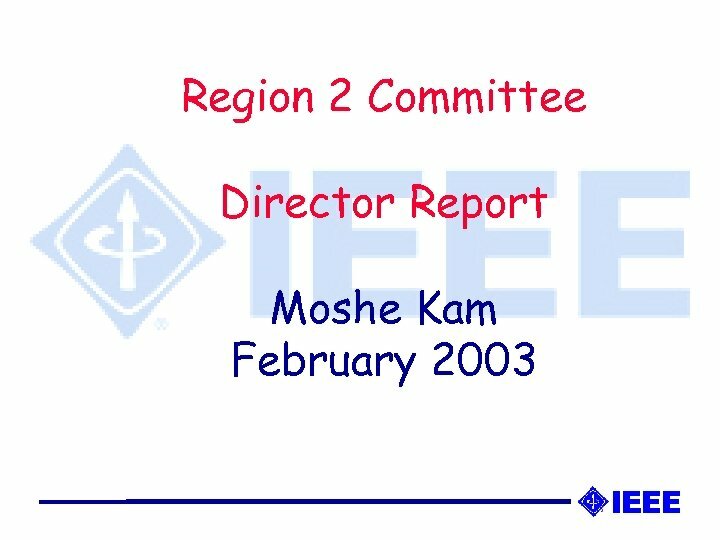 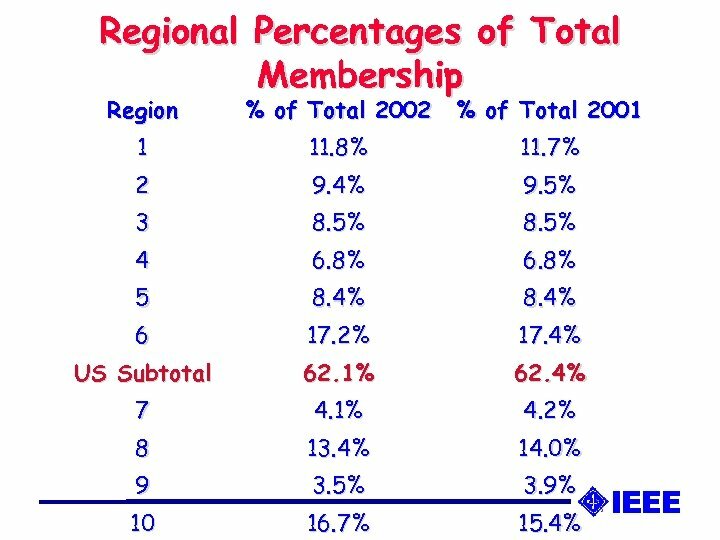 IEEE Regional Activities Board Mission l l Shall serve the needs of the members of the IEEE by maintaining, enhancing & supporting the geographical organizational units of the IEEE. 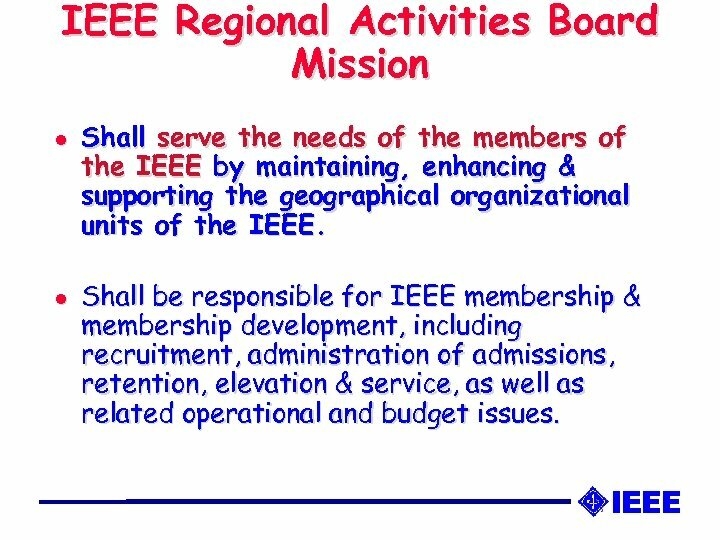 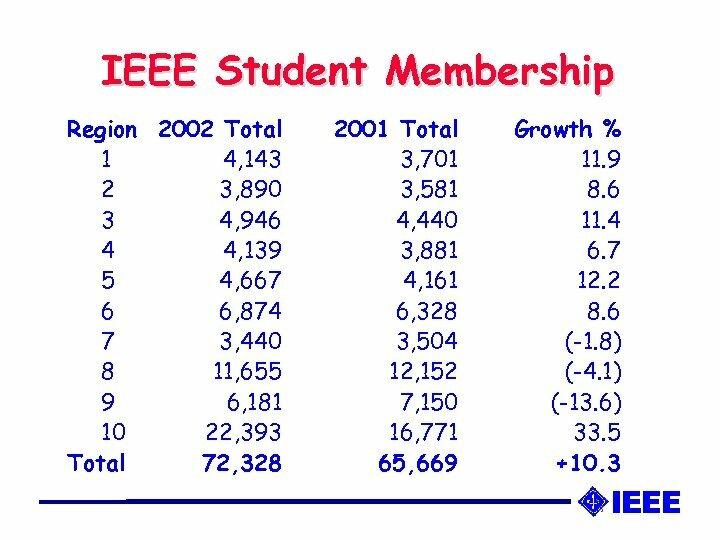 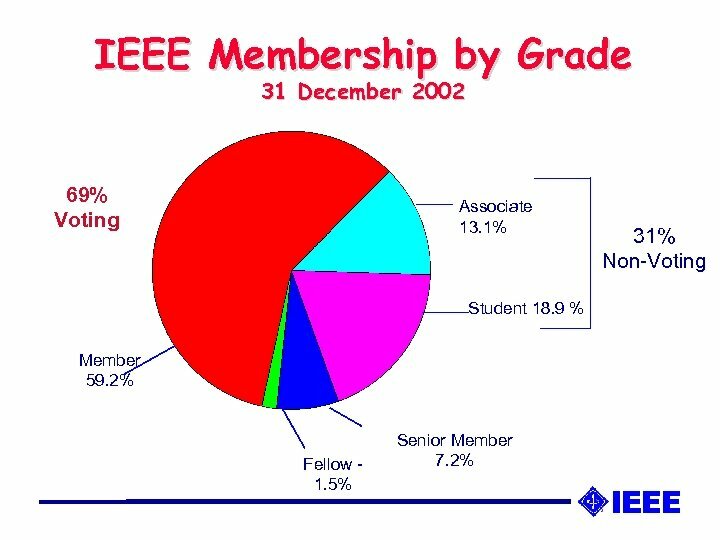 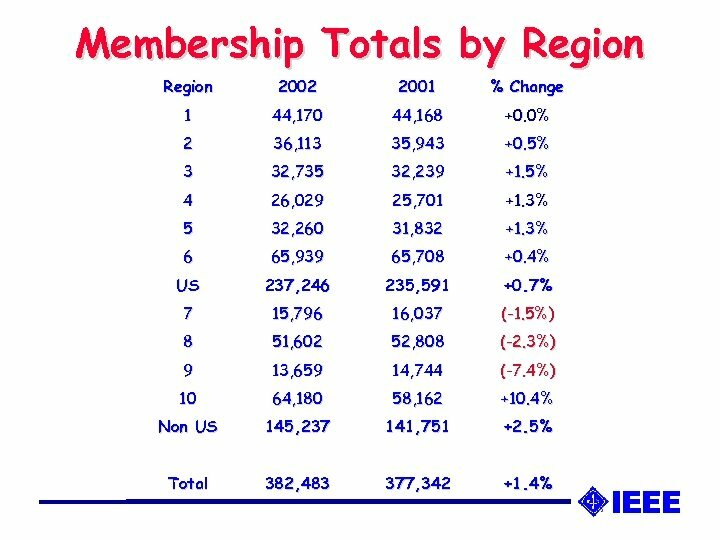 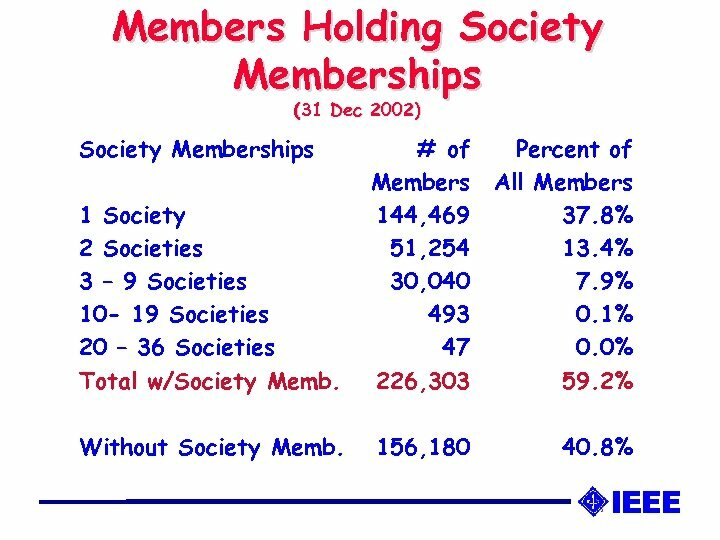 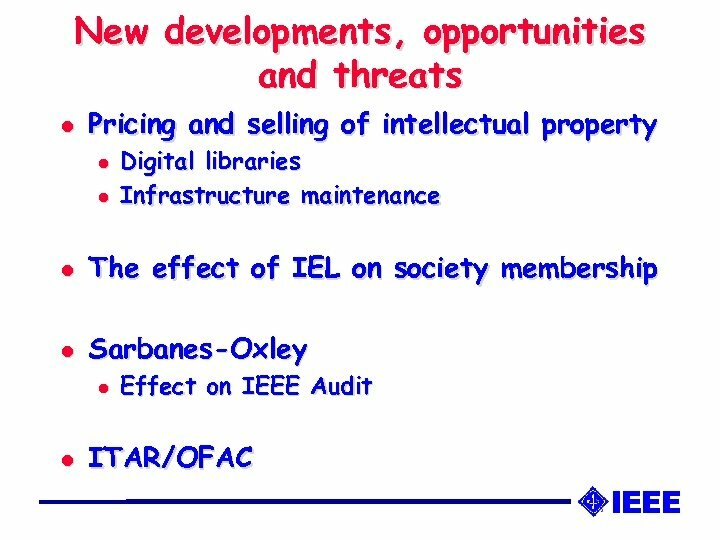 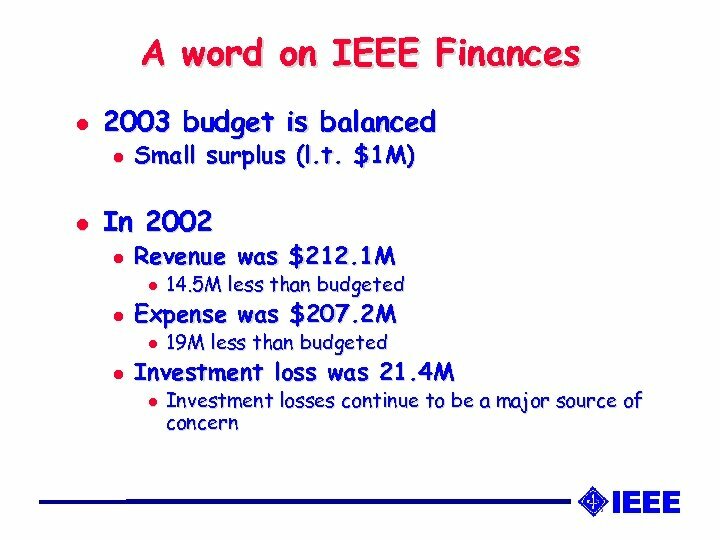 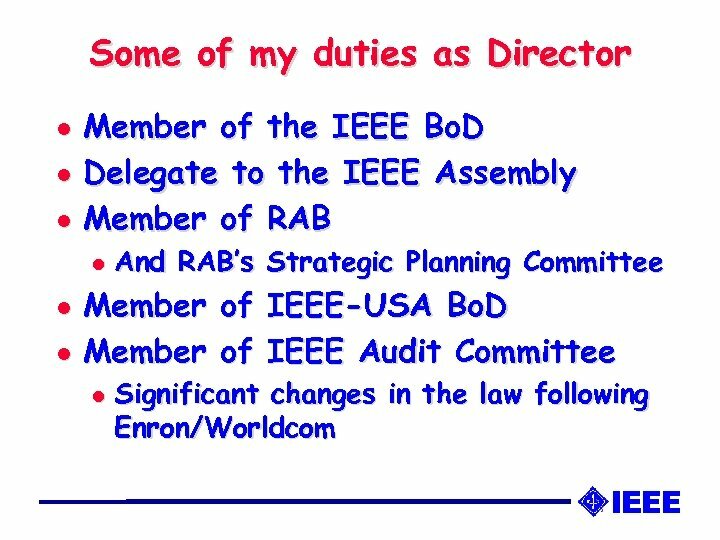 Shall be responsible for IEEE membership & membership development, including recruitment, administration of admissions, retention, elevation & service, as well as related operational and budget issues. 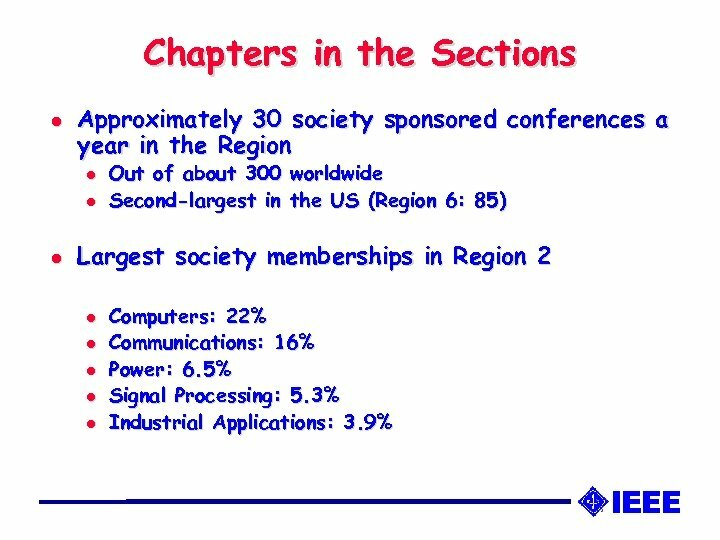 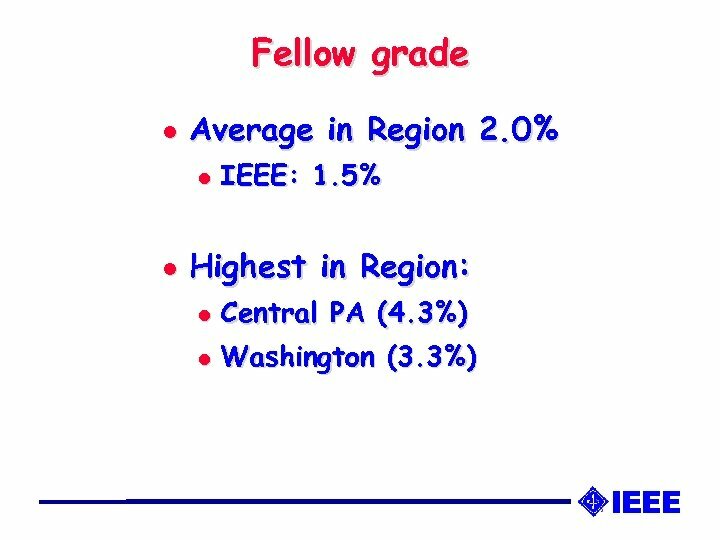 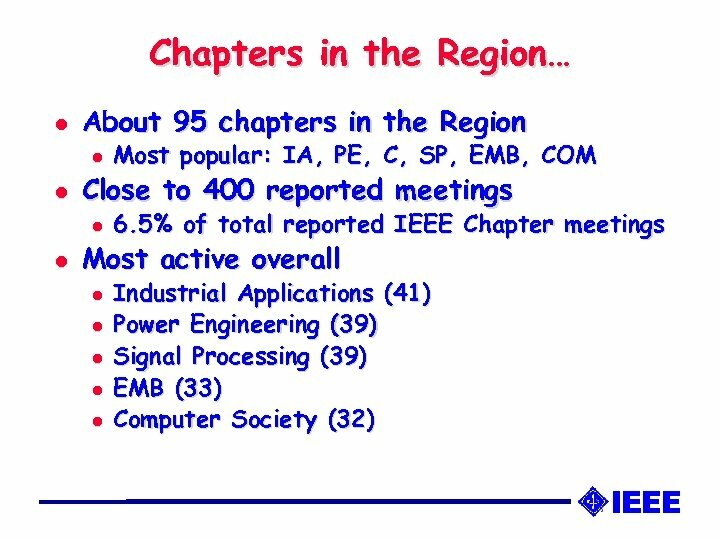 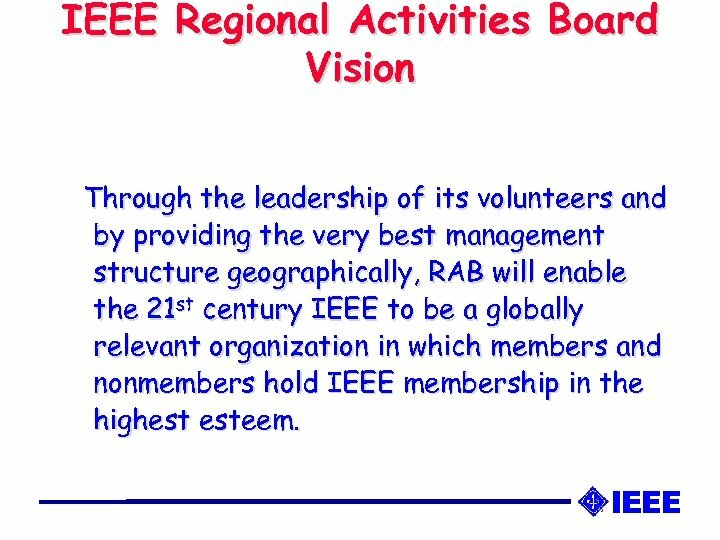 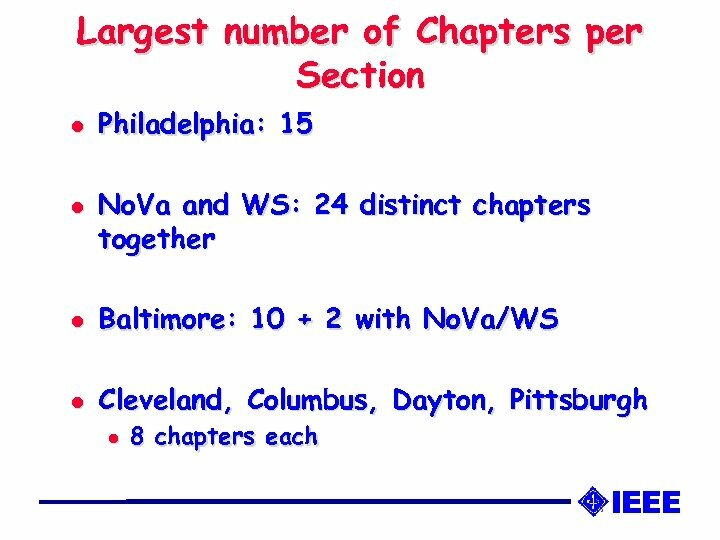 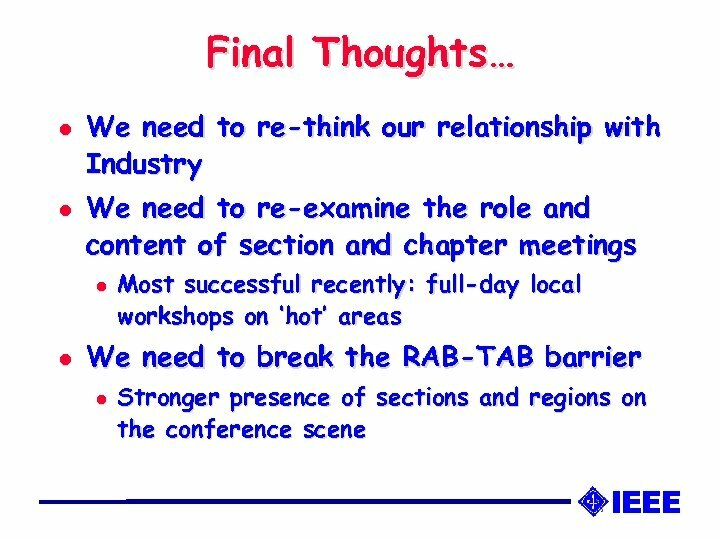 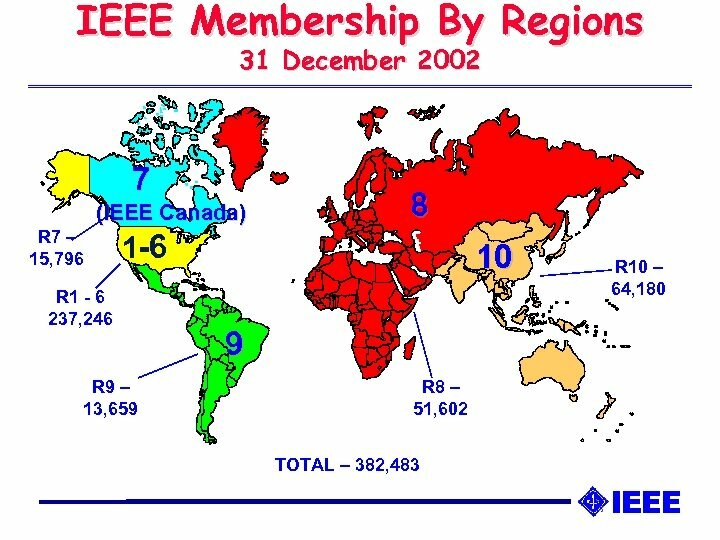 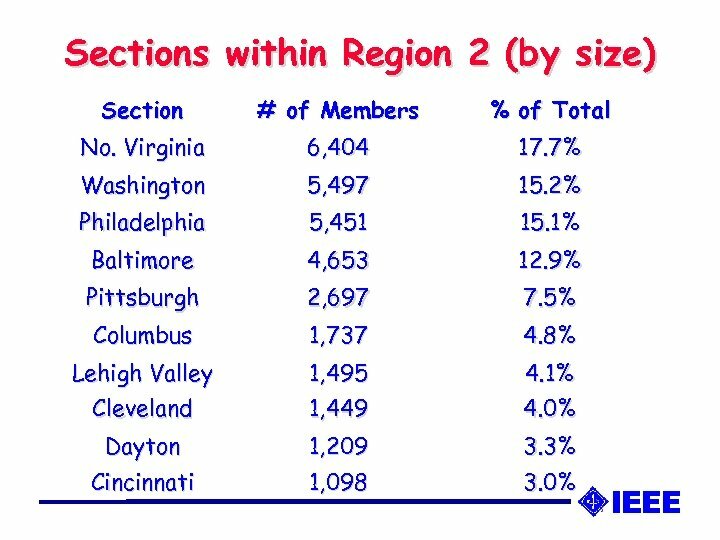 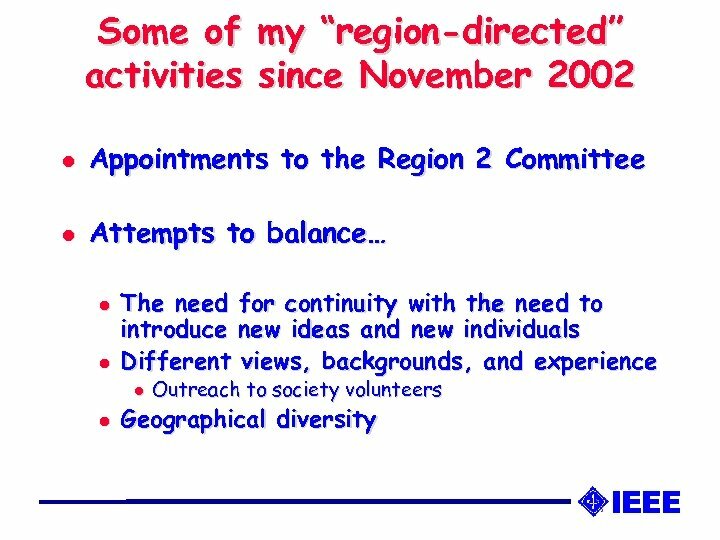 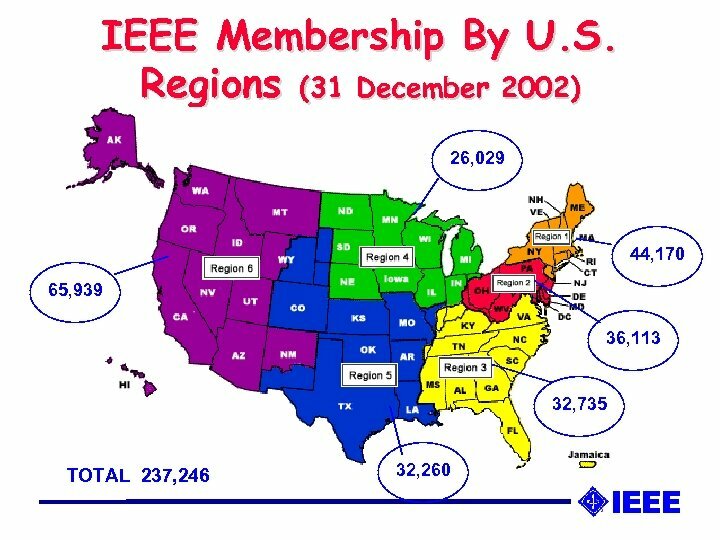 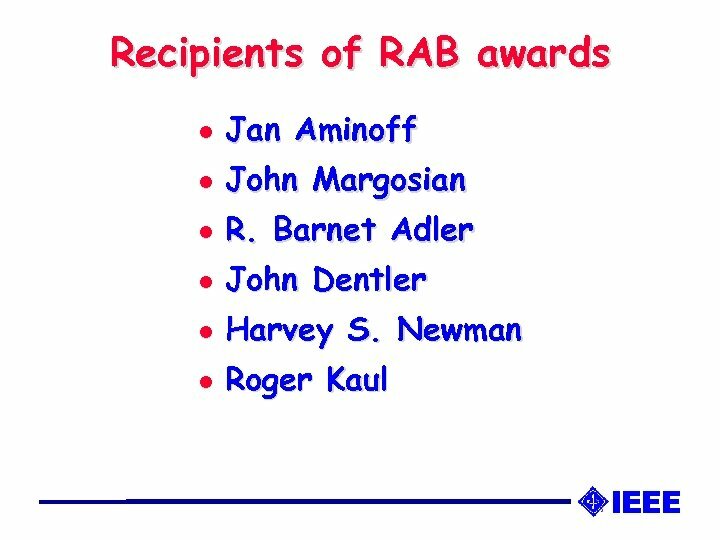 IEEE Regional Activities Board Vision Through the leadership of its volunteers and by providing the very best management structure geographically, RAB will enable the 21 st century IEEE to be a globally relevant organization in which members and nonmembers hold IEEE membership in the highest esteem. 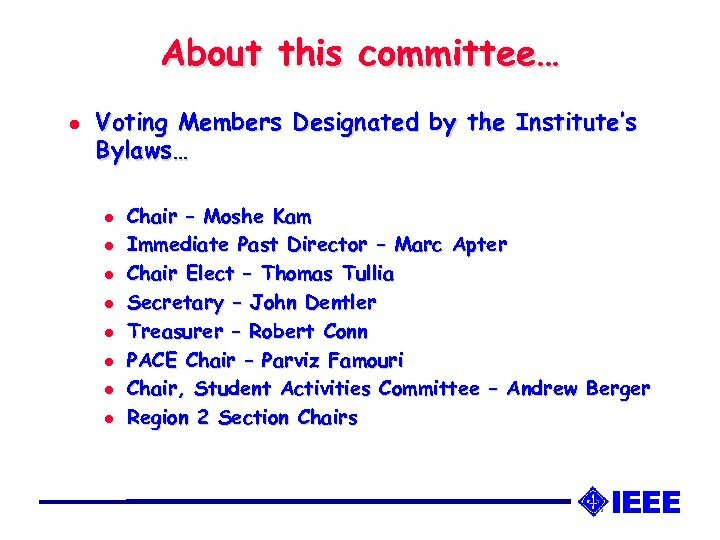 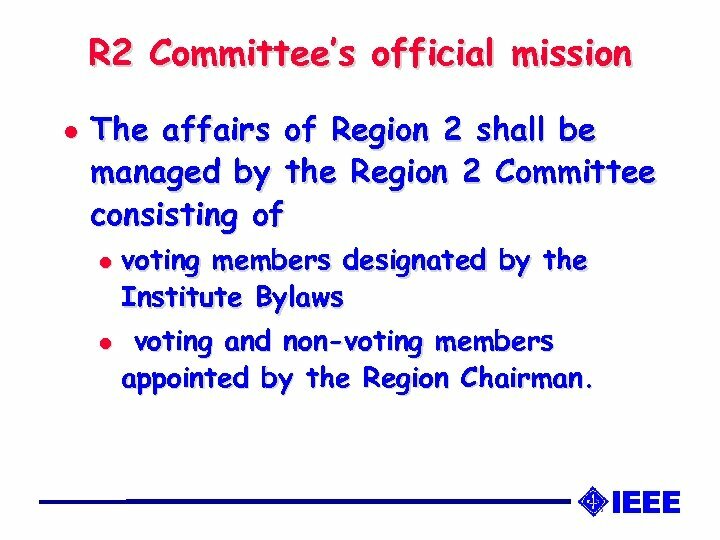 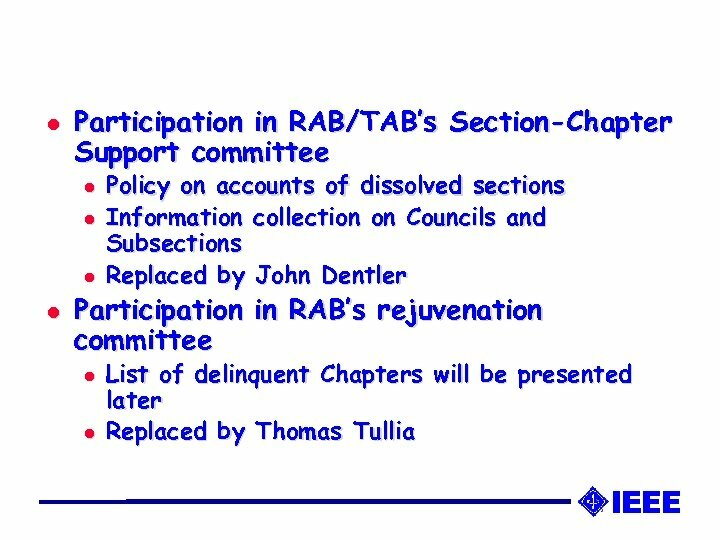 R 2 Committee’s official mission l The affairs of Region 2 shall be managed by the Region 2 Committee consisting of l l voting members designated by the Institute Bylaws voting and non-voting members appointed by the Region Chairman. 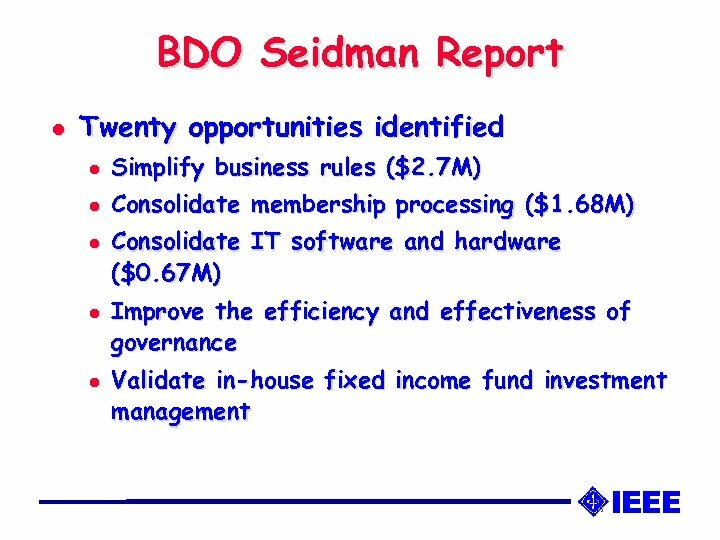 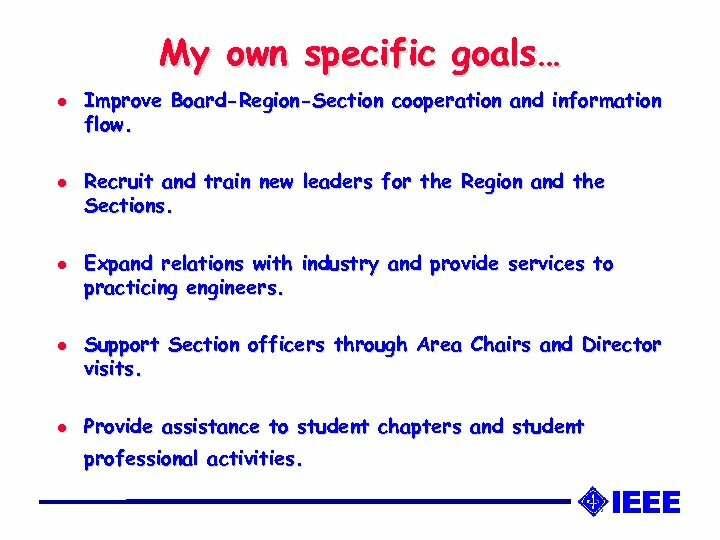 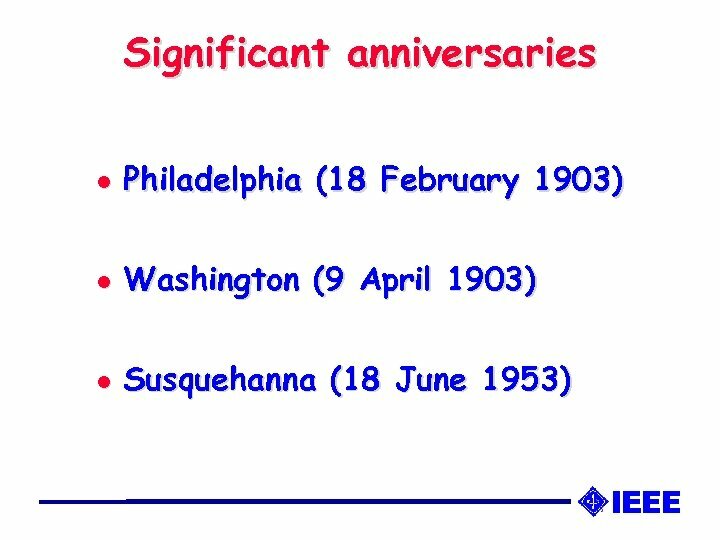 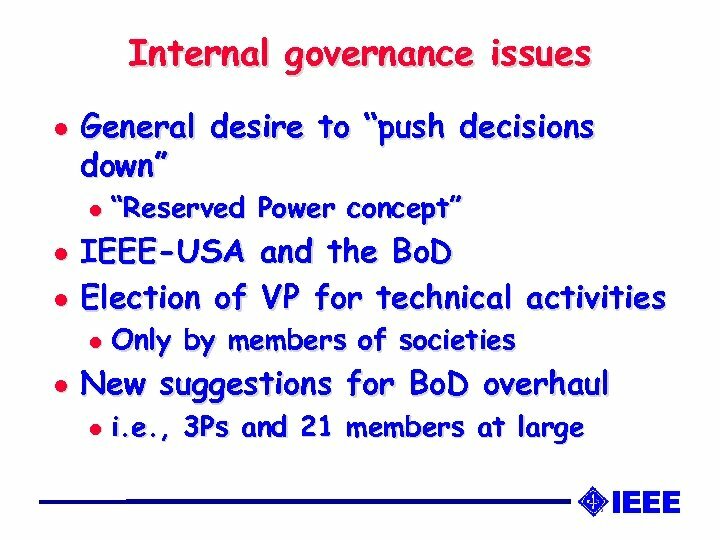 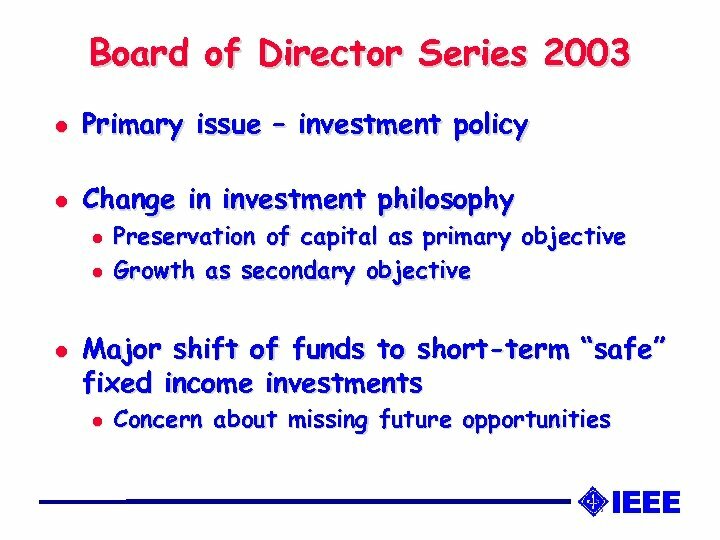 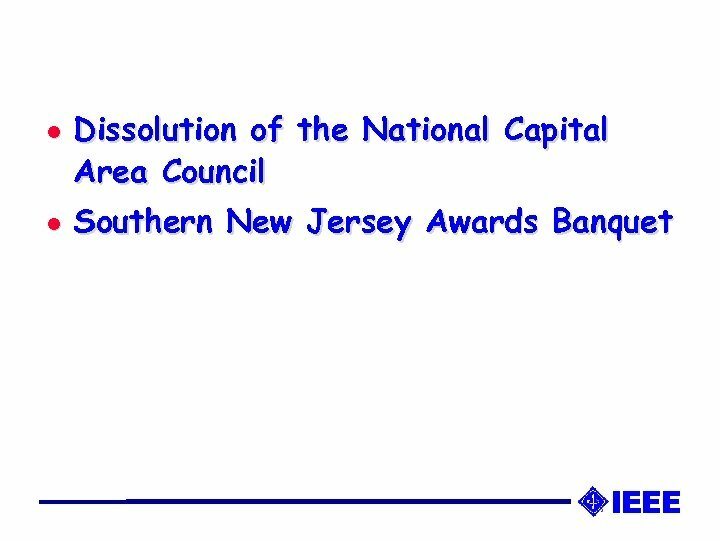 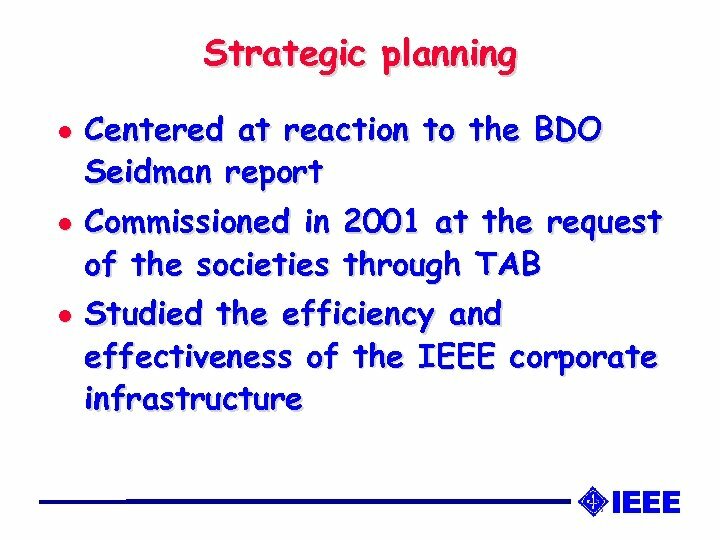 My own specific goals… l l l Improve Board-Region-Section cooperation and information flow. 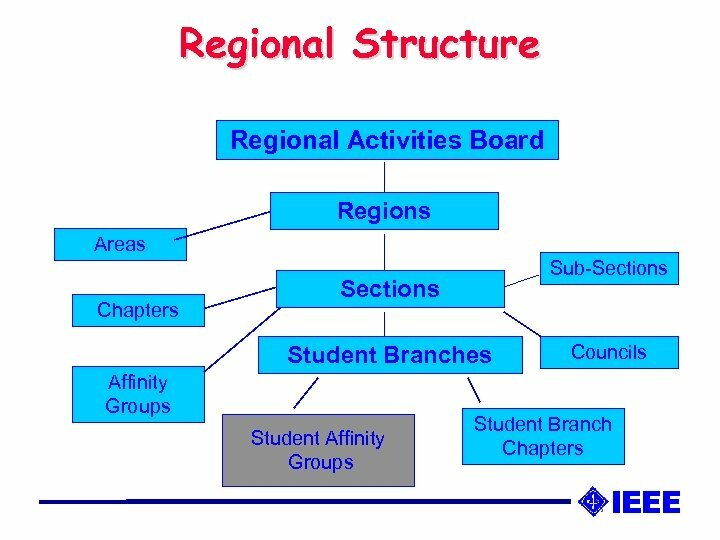 Recruit and train new leaders for the Region and the Sections. 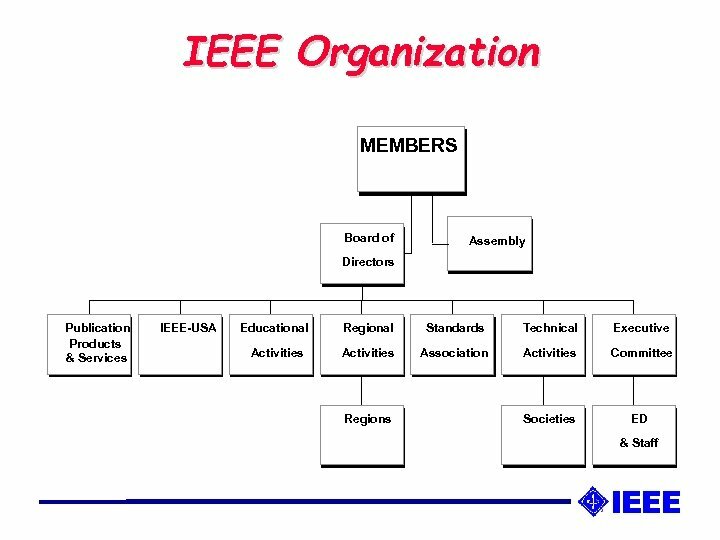 Expand relations with industry and provide services to practicing engineers. 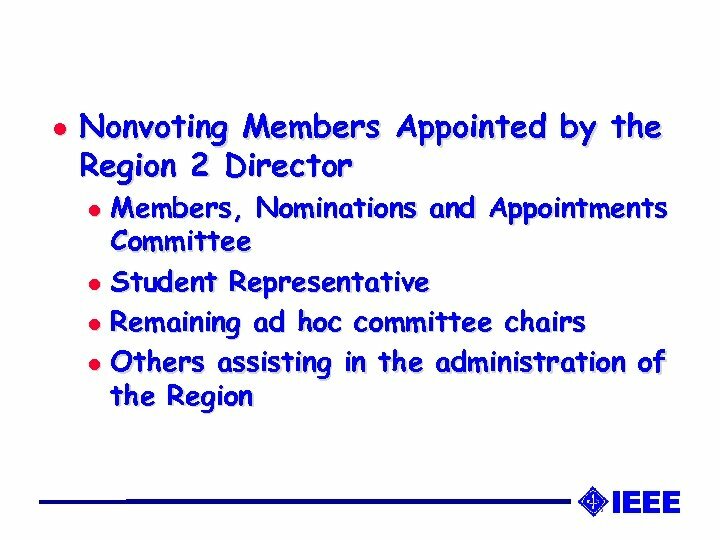 Support Section officers through Area Chairs and Director visits. 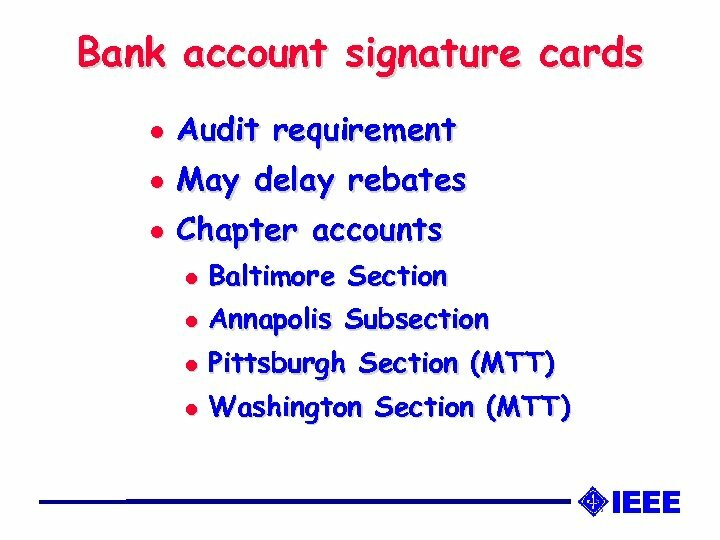 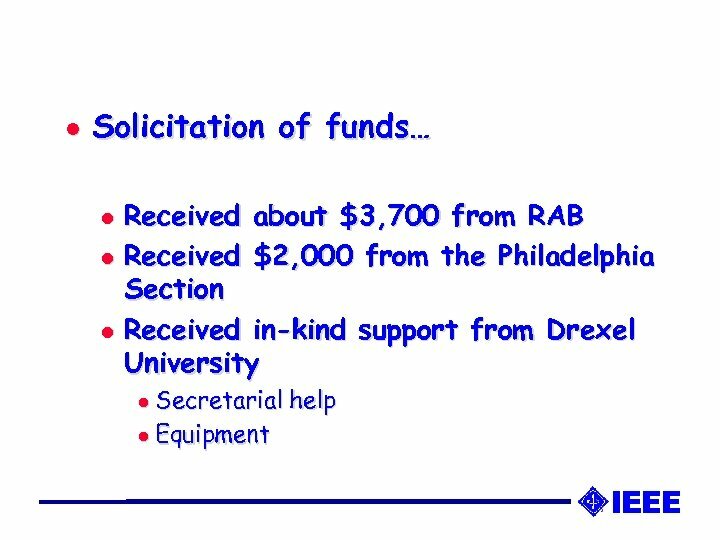 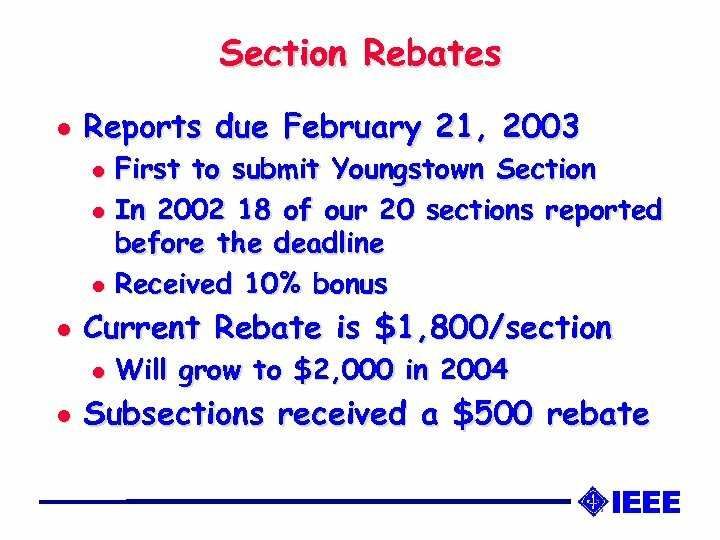 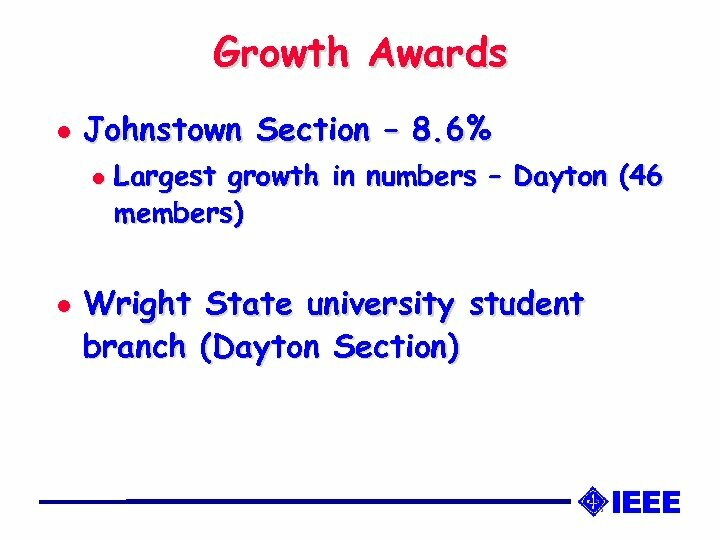 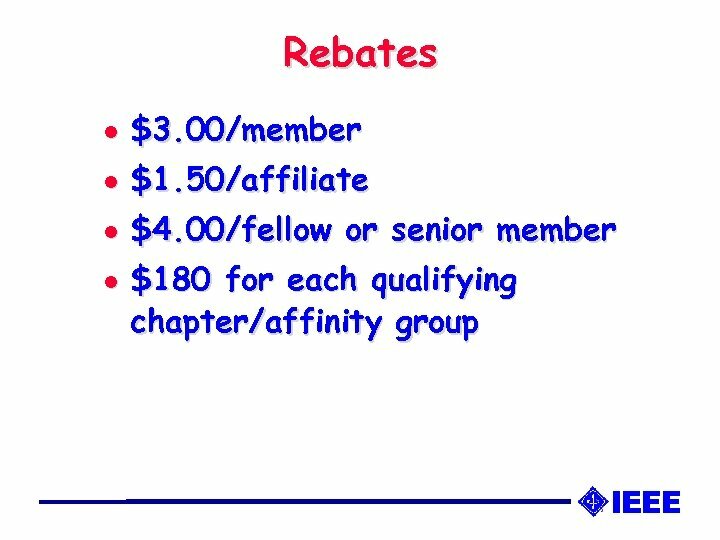 Provide assistance to student chapters and student professional activities. 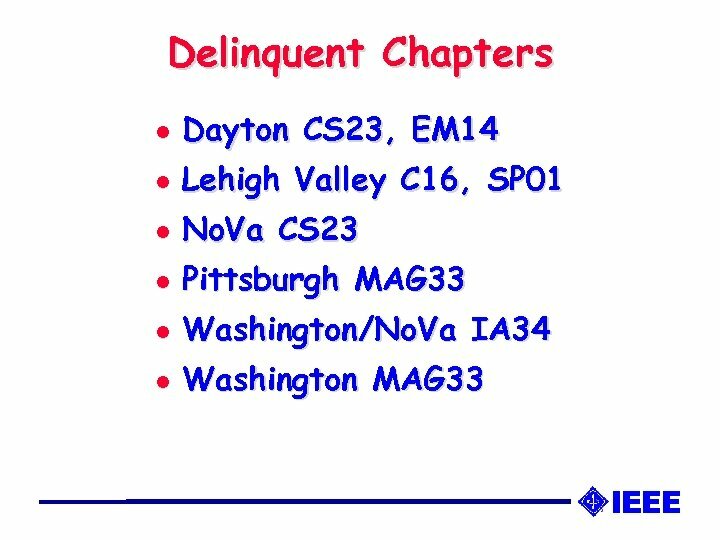 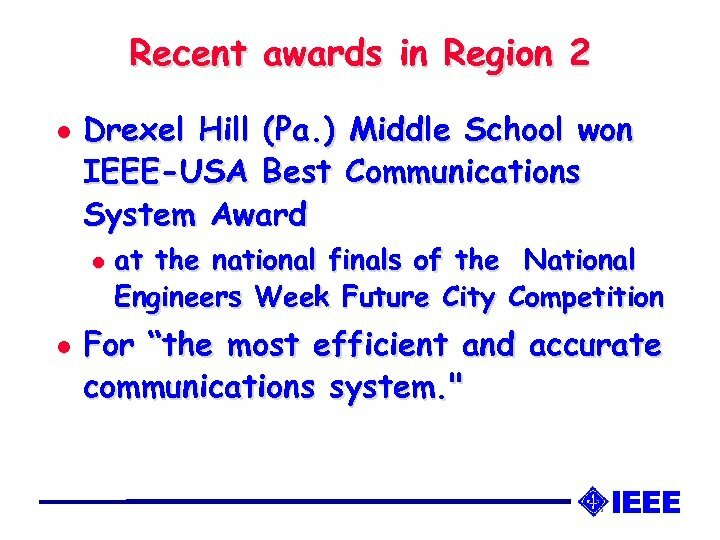 Recent awards in Region 2 l Drexel Hill (Pa. ) Middle School won IEEE-USA Best Communications System Award l l at the national finals of the National Engineers Week Future City Competition For “the most efficient and accurate communications system. " 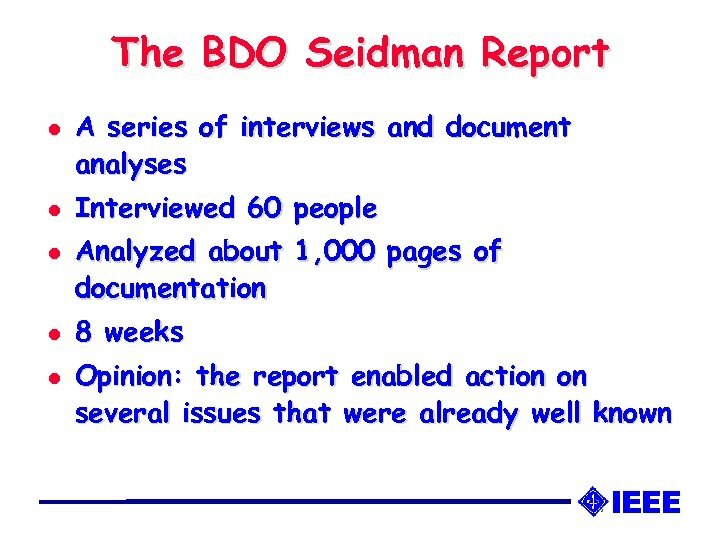 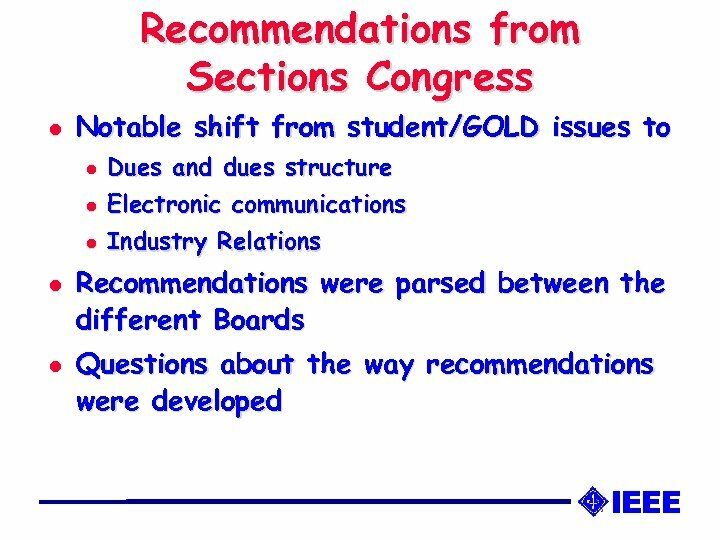 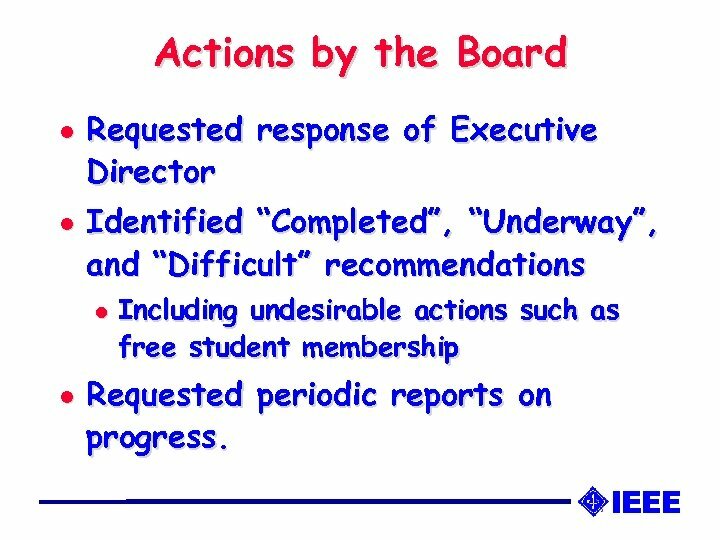 Actions by the Board l l Requested response of Executive Director Identified “Completed”, “Underway”, and “Difficult” recommendations l l Including undesirable actions such as free student membership Requested periodic reports on progress.